For months a certain someone has been begging to go to her sister’s school. You see we read in the newspaper about how PreK screenings were being done before the holidays and at the mention she was insistent on going. I was open to the possibility but very sure she’d change her tune as soon as it came time to leave my side. You know, as I I write this I’m remembering how eager she was to go to Montessori School with Everly back in Evansville right around the time Grayson was born. Anyway, we humored her and off to the screening she went. She was practically a mute! The screener had to work very hard to engage her and could hardly get a whisper out of her… but she got the okay for attending PreK a few days a week. Today was her first day of class! She had a few tears the first time I tried to leave her with the teachers but after taking her to the classroom and getting her settled in there were no more tears. 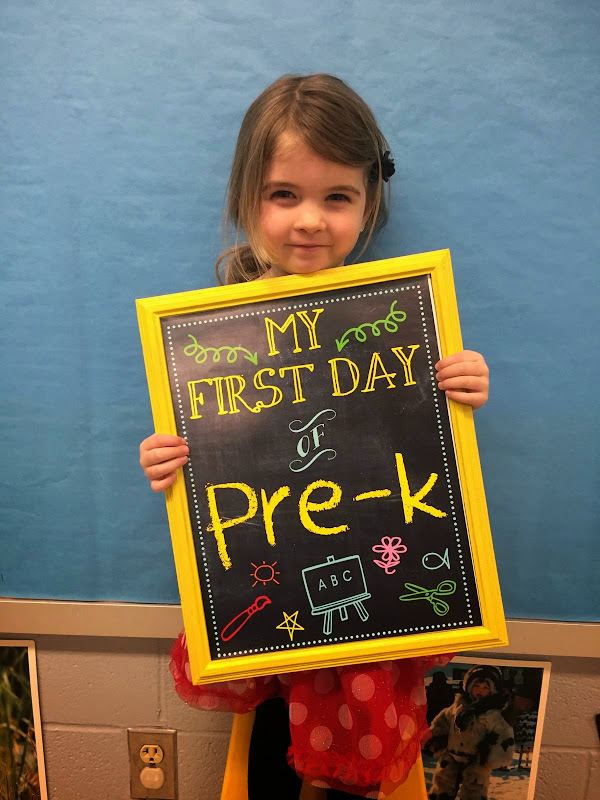 Her teacher sent me the above pic of her happily enjoying her first day of PreK.